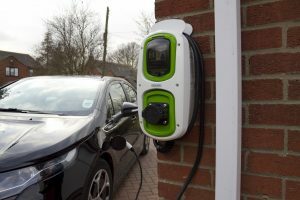 We are OLEV (Office for Low Emission Vehicles) registered installers of Rolec electric vehicle charging points. Using a petrol or diesel vehicle to get around is all we have ever known, so taking that leap to a car powered by electricity may, for some, appear to be a daunting prospect. But electric vehicle technology has now advanced so far, that the wide range of electric vehicles on the market means that most peoples’ driving requirements can be met. You will find that nearly all mainstream car manufacturers offer an electric vehicle option, both mainstream and luxury car brands have advanced the electric car so it is now the car of the future. No annual car tax and a huge potential saving on fuel, result in you saving money year after year. Domestic installations qualify for a government contribution grant. If your electric car is also your company car, you will also make a saving on the benefit-in-kind tax you have to pay.